USDA GRIN says naturalized but does not specify where. Widely naturalized in eastern and southeastern Australia. Naturalized in California (present in four counties) and in the southern and eastern US. From Queensland website: Blue heliotrope (Heliotropium amplexicaule) is regarded as an environmental weed in New South Wales, Queensland and South Australia. Though it is mainly seen as a weed of roadsides, disturbed sites and pastures, it is also listed as a priority environmental weed in three Natural Resource Management regions. It displaces native species, particularly in overgrazed or otherwise disturbed areas, and prefers sandy soils. It is prohibited entry into Western Australia and designated a "locally controlled weed" in New South Wales. New South Wales (NSW) Agriculture (0). New South Wales (NSW) Agriculture. From Queensland website: Blue heliotrope (Heliotropium amplexicaule) is regarded as an environmental weed in New South Wales, Queensland and South Australia. Though it is mainly seen as a weed of roadsides, disturbed sites and pastures, it is also listed as a priority environmental weed in three Natural Resource Management regions. It displaces native species, particularly in overgrazed or otherwise disturbed areas, and prefers sandy soils. 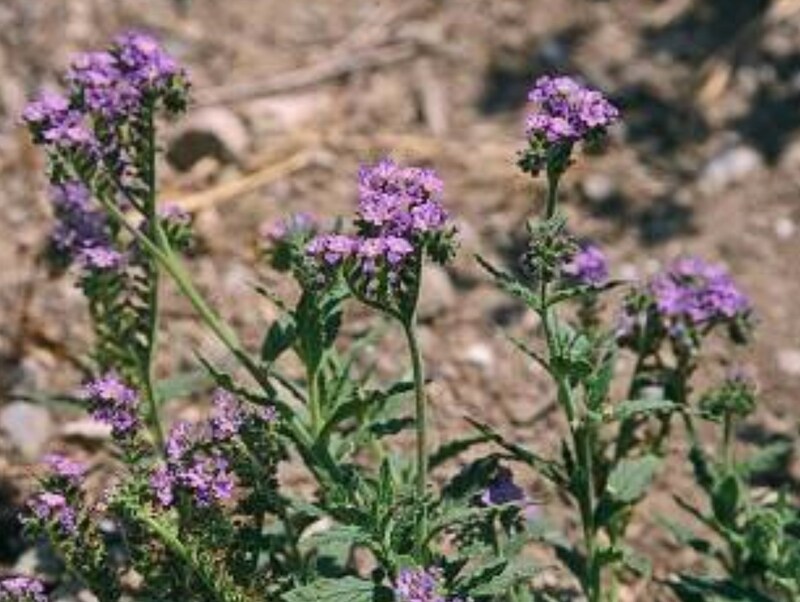 Heliotropium europaeum (common heliotrope) is a listed noxious weed in Western Australia because of the economic damage it causes in grazing areas. It is toxic to sheep, cattle, and horses. However, it is not considered an aggressive plant because other species can outcompete it. The species grows in some areas that are similar to California, but others that are not, such as the more tropical areas of eastern Australia and eastern South America, as well as the southeastern United States. From Queensland website: Blue heliotrope (Heliotropium amplexicaule) is regarded as an environmental weed in New South Wales, Queensland and South Australia. Though it is mainly seen as a weed of roadsides, disturbed sites and pastures, it is also listed as a priority environmental weed in three Natural Resource Management regions. It displaces native species, particularly in overgrazed or otherwise disturbed areas, and prefers sandy soils. Near Sydney, it occurs in sites occupied by the endangered herb Zieria obcordata. No information so defaulting to no. In Warrumbungle National Park, New South Wales, this species invades grazing areas and outcompetes species that are better forage. It occupies 110,000 hectares (270,000 ac) of New South Wales. It's also considered a threat to rangeland biodiversity in Queensland. It is eaten by cattle in Queensland even when other forage is available, but causes liver damage. Cases of jaundice and death are regularly reported. This species is an herb with creeping, somewhat prostrate stems that grows 20-60cm tall (only 30cm according to the Australia reference) so impenetrable thickets in our definition seem unlikely. This plant reproduces mostly by seed, but can also produce shoots from its roots and establish from root fragments. It easily regenerates from root fragments. Can establish from root fragments. Produces seeds. The fruit is a nutlet. Produces many seeds but I don't have information on numbers. As it's a small herb that is described as a prolific seed producer, I would assume it can produce seeds within three years. Flowers all year in California. In frost-free areas of Australia, the plant can flower at any time of the year. The sticky seeds can be dispersed by animals and pass through the gut of animals unharmed. The seeds can be dispersed by water. Root fragments can be spread by farm equipment and seeds can be spread by vehicles. Reviewed by Naomi Fraga, Rancho Santa Ana Botanic Garden.